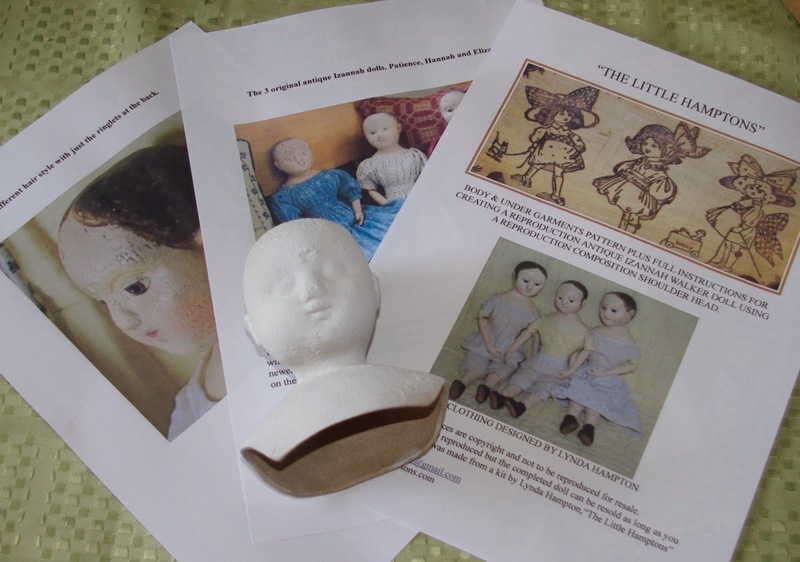 Soon to be listed is my just finished reproduction of Patience, an antique Izannah Walker doll. Lots of pictures to follow. 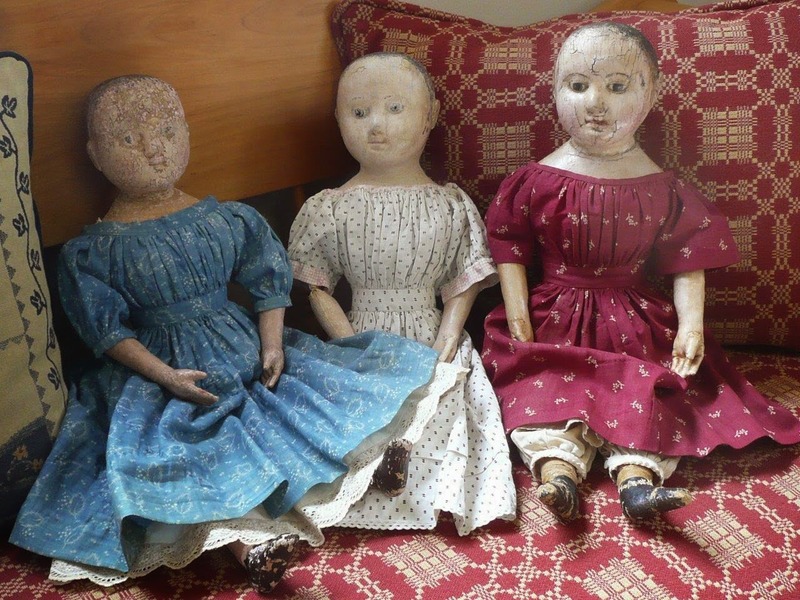 She is 18"tall and her clothing is made mostly from sumptuous antique fabrics. Thank you for looking. 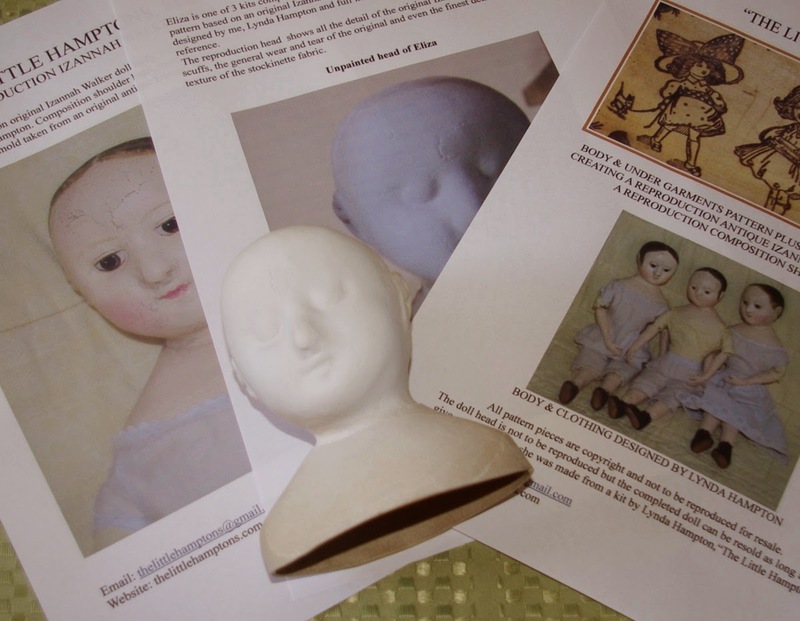 Please feel free to contact me if you have any questions about my dolls or my doll kits of smaller Izzy dolls that I offer for sale. 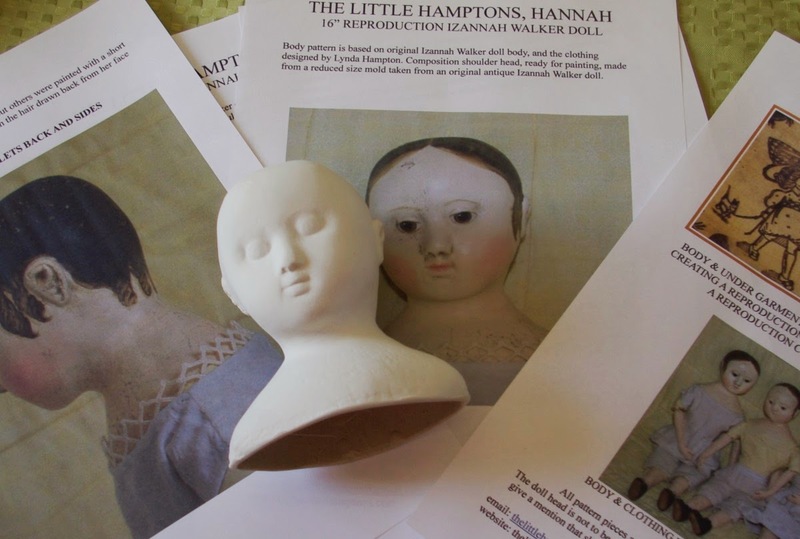 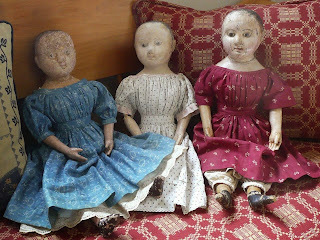 The last picture is of the three original antique Izannah Walker dolls that I reproduce.